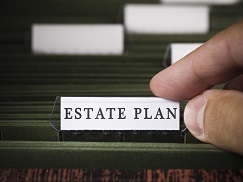 A revocable living trust (“RLT”) is one of the most common estate planning devices nationwide, and touted most often as a way to avoid probate. For Washington residents, however, avoiding the probate process should not be the primary purpose for utilizing an estate plan with an RLT because the probate process here is more streamlined than in most other states. This article provides background on RLTs and the Washington probate process and also highlights some important considerations involved in Washington-resident estate planning. An RLT is a type of trust that is created and managed during your life and after your death. It typically only serves its purpose if, after creating the RLT, all of your assets are transferred or re-titled to the RLT. The management of the RLT is governed by the trust document and is carried out by the named Trustee. Typically, while you are living, you are the Trustee and have control over all of your assets owned by the RLT. While you are living and competent, you may revoke or amend the RLT at any time. These powers would also apply if you and your spouse created a joint RLT. Upon your death, the assets owned by the RLT pass as provided in the trust document without the need to start a formal probate matter with the court. Probate is the legal process of naming a fiduciary who has the authority and duty to pay all of your creditors and taxes and then pass your remaining assets in the manner provided in your Will. In Washington, a personal representative (or executor) acting with “nonintervention powers” may accomplish this process without the need for court approval for every transaction. This is in contrast to states like Oregon, California, New York or Florida, which require court hearings and approval for sales of property, payment of certain fees and the distribution of assets to heirs. Nonintervention powers will be granted to a personal representative in most situations, so long as the estate is solvent and the decedent’s Last Will does not preclude the granting of nonintervention powers. The use of an RLT to avoid an already efficient probate process in Washington may create more burden than it relieves. This is primarily because effectively using an RLT requires the extra step of transferring your assets to the trust. If property is not conveyed to the trust while you are alive, then some of your estate must pass through probate and only some will pass without probate. The process of locating and transferring all of your assets to the RLT can be time consuming and costly, which is why the asset transfers are often not completed. Assets transferred to the RLT may avoid the probate process at death, but they are still considered owned by you for creditor and estate tax purposes. Using an RLT will not provide for any creditor protection, and any estate tax benefits that are included in the RLT can also be included in a Will. RLTs can still be useful for Washington residents in certain circumstances. For instance, RLTs can provide for a smooth transition for the management of assets in the event of incapacity. Control of accounts already titled in the name of the RLT can be turned over without opening new accounts. In addition, for individuals who would like a financial institution or trust company to manage their assets and pay bills as they age, the institutions will likely require that they do so as Trustee of your RLT. RLTs can also provide people with a certain amount of privacy because an RLT owning all of your assets will not be filed with the court at death. This may avoid unwanted scrutiny of your estate plan. Finally, if you own real property outside of Washington, creating an RLT to own your out-of-state asset (even if you do not put Washington-owned assets in it), can help avoid going through probate in the state where the property is located. If you have any questions about revocable living trusts, please contact a member of the Stokes Lawrence Estate Planning Group.